IBS New York 2019 boasted a diverse and exciting conference program taught by the best educators in the industry. This year's speakers included, Candy Shaw, Tracey Hughes, Nick Arrojo, Ryan Teal, Martin Parsons, Tanju Kurt, DJ Muldoon, Eve Pearl and many more! Each year, more than 100 classes are included FREE with your exhibit hall ticket! Summits, Hands-on Workshops and Business Building classes provide a more tactile educational experience for an additional fee, while Main Stage performances feature some of the hottest artists in the industry. Please stay tuned for 2020 conference program, which will be posted later this year! We hope to see you March 8-10, 2020! FREE with your paid exhibit hall admission. Watch the beauty industry's most elite artists from all across the globe as they showcase their work on the IBS New York Main Stage . FREE with your paid exhibit hall admission. Presentations are crafted for men's grooming professionals and barbers interested in enhancing their techniques and learning about the revolution of men's grooming. These comprehensive seminars provide a deeper look into today's hottest industry topics such as Marketing & Branding, Nails, Social Media, and Leadership. *Summits/Business Building workshops available at an additional fee. Fee includes one day exhibit hall ticket. 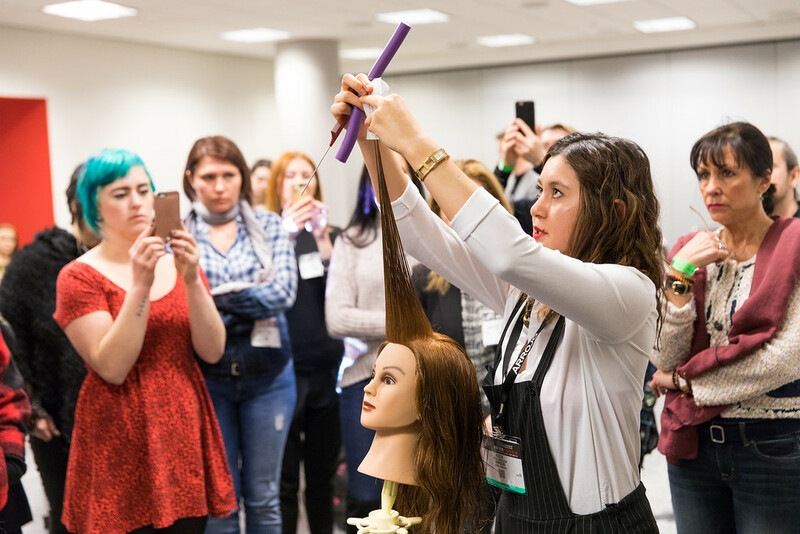 These in-depth workshops cover a diverse range of beauty from hair cutting and coloring to makeup and lash application and provide technique-driven treatments that will help increase your bottom line. *Hands-on workshops available at an additional fee. Fee includes one day exhibit hall ticket. FREE with your paid exhibit hall admission. These classes are geared toward stylists interested in expanding their skills, repertoire and client-base. FREE with your paid exhibit hall admission. These classes are geared towards stylists interested in expanding their skills working with textured hair and learning more about texture-specific styles and trends. FREE with your paid exhibit hall admission and designed for colorists, these classes cover in-season colors and an array of coloring techniques for every client. FREE with your paid exhibit hall admission. Give your clients versatile options and styles with hair extensions. Learn how to apply and style, while also increasing your bottom line with these classes. FREE with your paid exhibit hall admission. These classes cover techniques and provide instruction for makeup artists looking to stay on top of current client-enhancing and business-building trends. FREE with your paid exhibit hall admission. These sessions are designed for nail technicians looking for advice, inspiration, and insight to develop their art. FREE with your paid exhibit hall admission and designed for salon owners, managers and professionals looking for in-depth training and guidelines on how to grow, structure and manage their business to success and profitability.